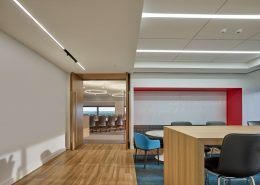 The Johnson & Johnson family of companies is a worldwide provider of consumer health products, medical devices, biologics and pharmaceuticals. 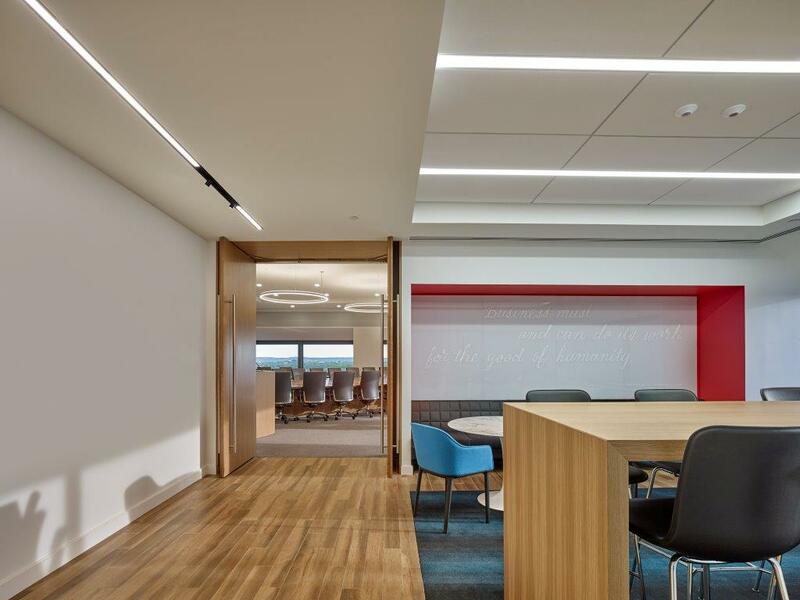 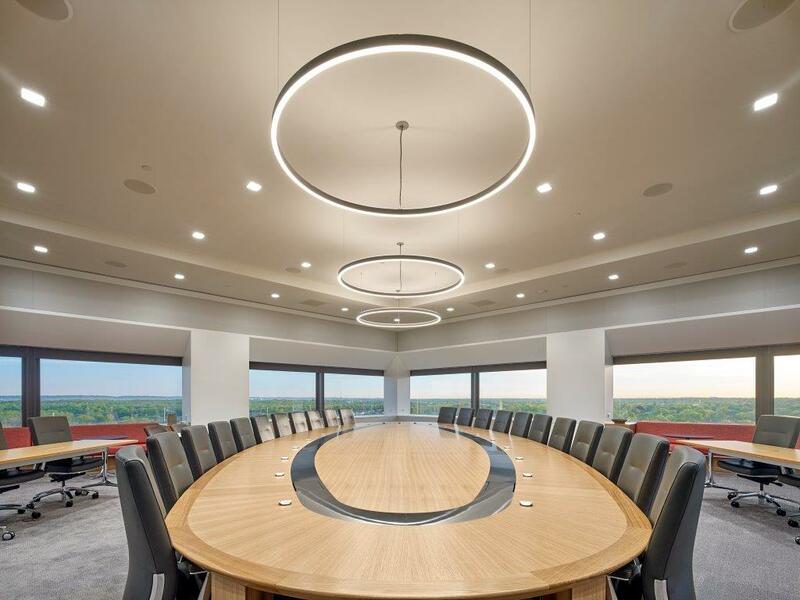 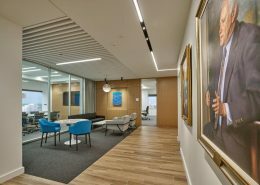 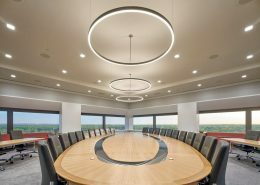 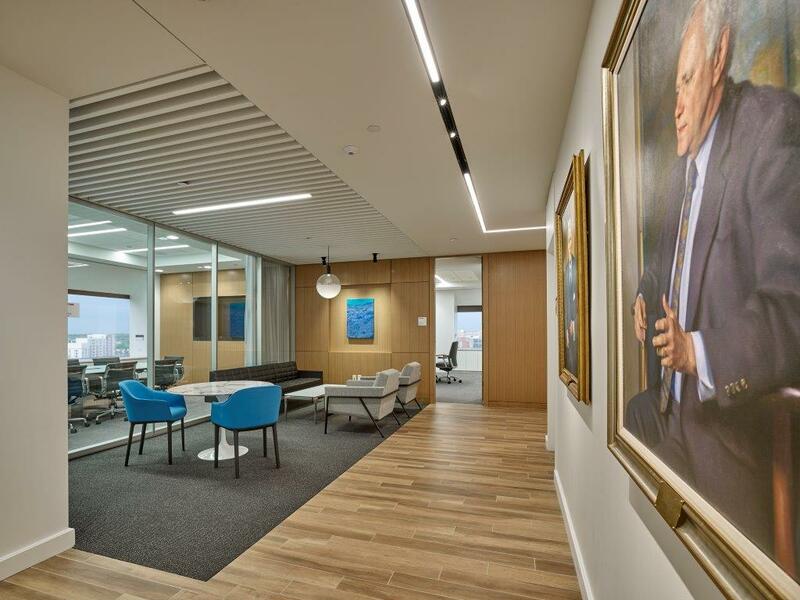 Johnson & Johnson is undergoing a complete renovation of its boardroom and meeting facility in its corporate world headquarters in New Brunswick, NJ. 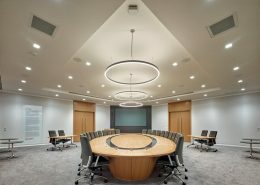 The project consists of conference and meeting rooms and the main boardroom. 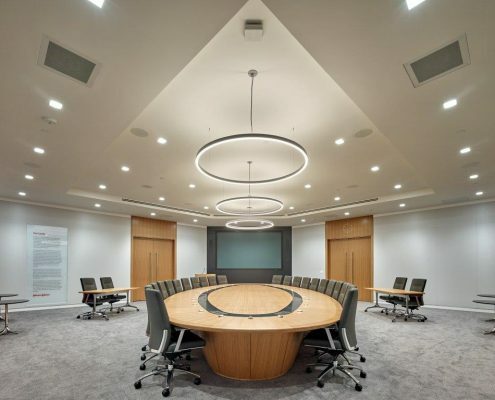 Hatzel & Buehler’s scope of work includes providing interior lighting, dimming systems, fire alarm, communications wiring, pathways and wiring for an extensive audio/visual system, demolition work, and power distribution to new HVAC equipment.